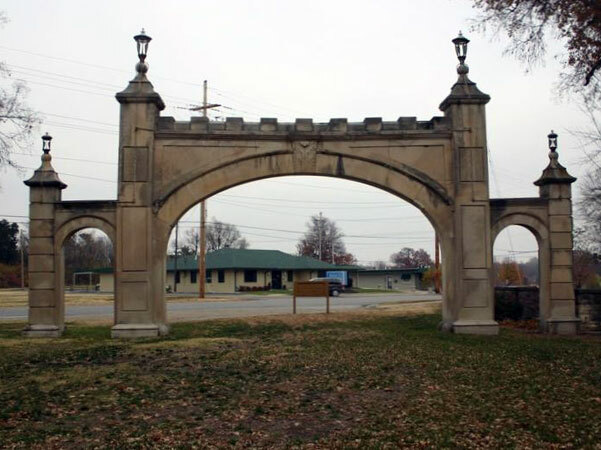 Gage Park was established in 1899 upon the death of Guilford Gage, when his family donated their 80-acre farm to the City of Topeka as a recreational center. 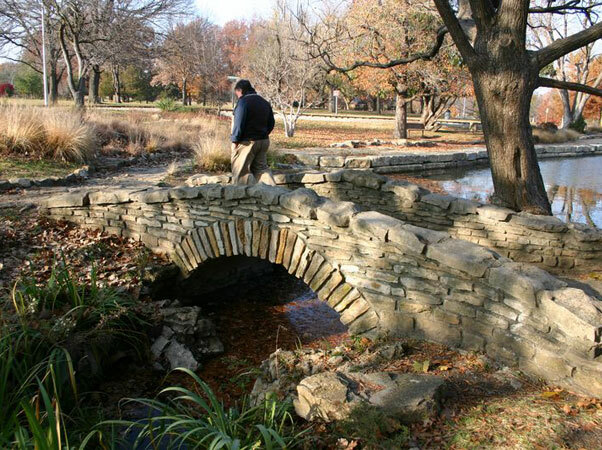 George Kessler prepared the first plan between 1899 and 1901, with the park developing more fully over the next several decades under the management of city horticulturist Anton Reinisch. The park’s design includes a picturesque lake on the northern edge, with major park features separated by parkland comprised of lawn and clusters of shade trees and connected by meandering roads and paths. 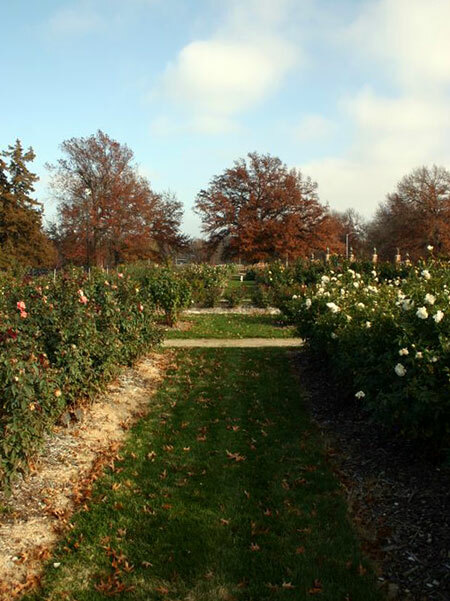 In the center of the park, where Reinisch lived until his death in 1929, are the Topeka Zoo and Reinisch Rose Garden. 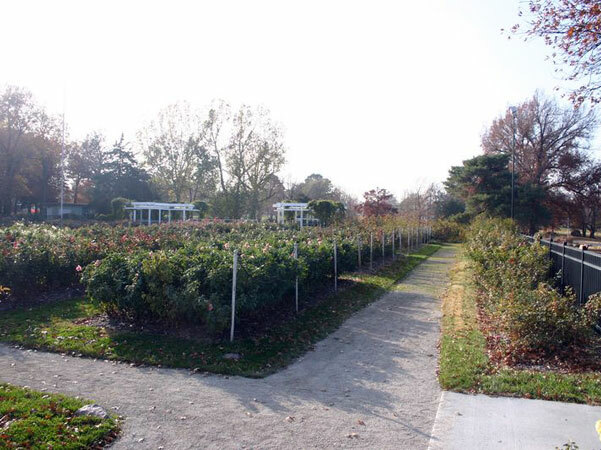 Hampered by funding challenges during Reinisch’s lifetime, the formal rose garden was designed in 1930 by Chicago landscape architect Emmett Hill and landscape gardener L.R. Quinlan, and features 400 varieties of roses. 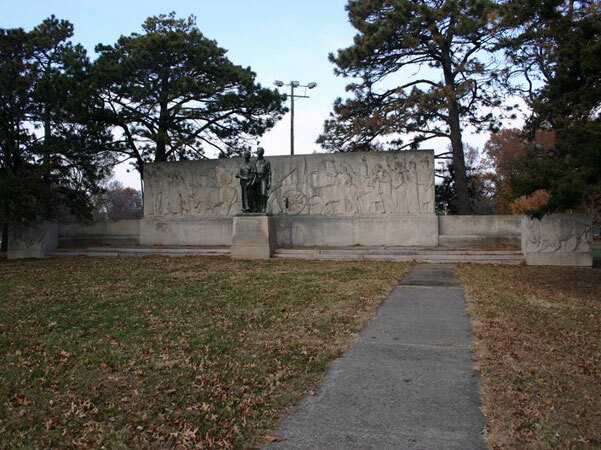 The zoo and Doran Rock Garden were both constructed in the 1930s. 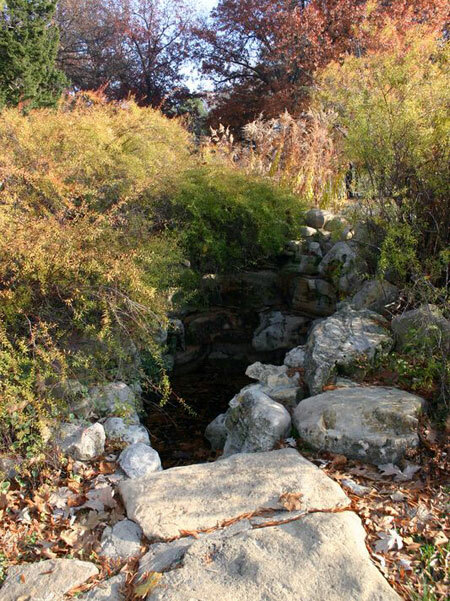 The contemplative, naturalistic rock garden contains a reflecting pool with a stone pedestrian bridge and bald cypresses, Japanese maples, willow oaks and flowering annuals planted for seasonal color. 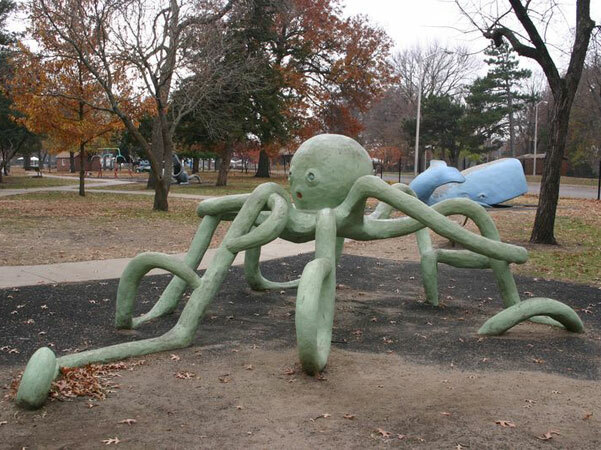 Animaland followed in 1960 – a playground with rustic structures and whimsical concrete animals for climbing. 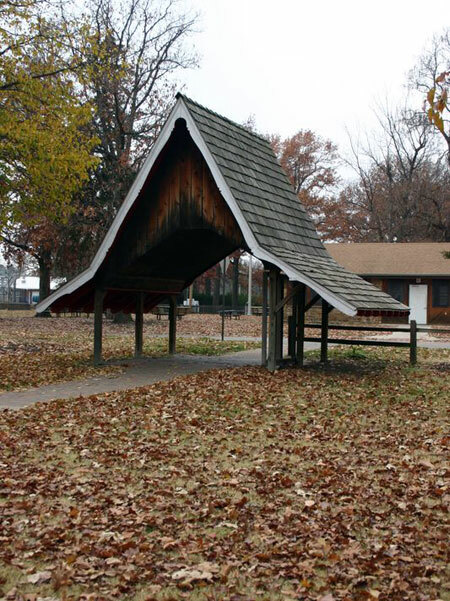 The 160-acre park also includes a 1960s-era theater, vintage carousel, numerous memorials, an aquatic center and a miniature train that circles the park.